You don't need your iPad to access your favorite digital magazine subscriptions. The popularity of paper-free publishing extends beyond the world of e-books, putting an entire library of magazine subscriptions available on the touchscreen of your iPad. While some publications offer proprietary viewing apps -- like Sports Illustrated and Wired Magazine -- there are a variety of e-reading and digital magazine reader apps that provide access to all of your favorite magazines from one centralized location. 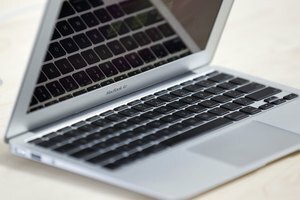 These same applications can then be installed on your PC, Mac or other mobile devices so you can keep reading even when your iPad isn't available. 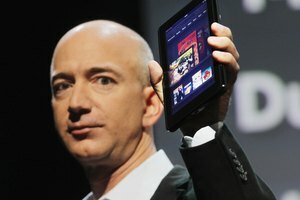 In addition to reading e-books, both the Kindle and NOOK reading apps -- which are available for iOS, Android, PC and Mac devices -- provide access to book stores that sell digital magazine subscriptions with a promise to automatically deliver new issues wirelessly as soon as the physical issue hits the newsstand. Just under 700 magazines are available from Amazon for the Kindle app, most of which come with a free 30-day trial. 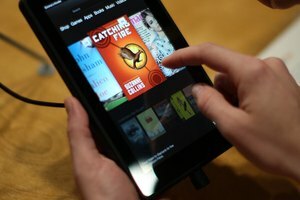 Nearly 1,000 are available for the NOOK app, with a 14-day trial subscription offered through Barnes & Noble. Unlike an e-reader app, which incorporates access to books and other non-magazine materials as well, a magazine reader app -- like Zinio or Magzter -- is solely designed to provide you with access to your favorite magazine subscriptions. Both offer versions on Android, PC and Mac so you don't necessarily need your iPad to read. Zinio hosts more than 5000 magazines, with features like auto-download for offline reading and daily free articles. Magzter, on the other hand, lists just over 2500 magazines with a variety of subscription options -- including one, three, six and 12 month subscriptions. Some magazine subscriptions are delivered by PDF, which can then be transferred from your iPad to computer using File Sharing -- a feature of iTunes syncing. Connect your iPad to your computer and allow iTunes to launch, then select the "Apps" tab and scroll to the bottom of the window. Select the icon for the magazine reading app on the left and then drag and drop the PDF from the File Sharing window to your computer. If the File Sharing pane doesn't appear or you don't find the app's icon, you cannot transfer individual magazine files from your iPad. 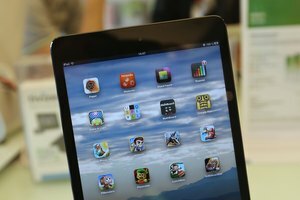 Some apps that facilitate magazine reading simply are not compatible with any reading device or computer outside of your iPad. Before assuming you will be able to use your magazine subscription across platforms, check with the publisher's or the app developer's site to see if there are subscription options that will allow you to view your magazine's digital content on another device. 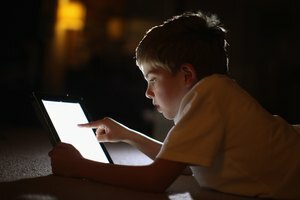 Don't be discouraged if there isn't a Web-enabled or computer solution; many app-only magazine options -- like the Wired Magazine or Sports Illustrated Magazine apps -- also have versions that are available for iPhones, Android devices and Windows Phones. Fernandez, Danielle. "Can You Read iPad App Magazines Without the iPad?" Synonym, https://classroom.synonym.com/can-read-ipad-app-magazines-ipad-13730.html. Accessed 22 April 2019.